Ghost Hunters: Unlocked at Level 22 to unlock the Ghost Hunter hobby and make Haunted items available for purchase in the Home Store. This is a time-limited quest-line, you're given 4 days. Reward: The "Haunted House" housing lot. (Available in Online Store if you did not finish in time). Note: if you haven't build the Snow Park yet, now is probably a good time to do so. You'll need it during the next quest (Seniors). 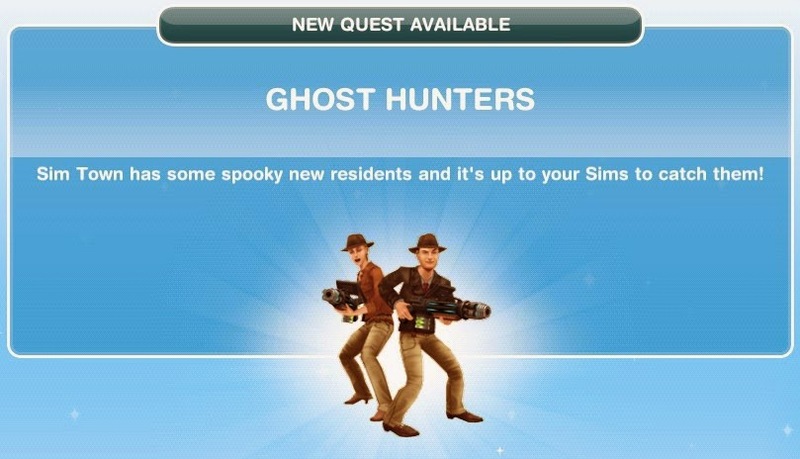 Ghosts spotted in Sim Town! 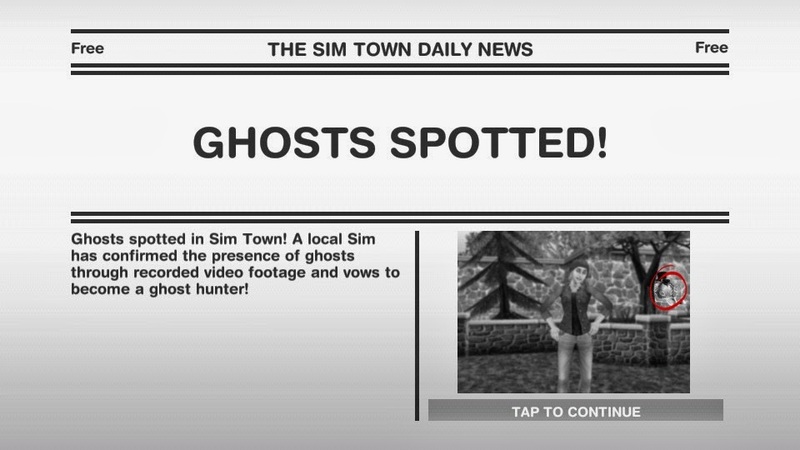 A local Sim has confirmed the presence of ghosts through recorded video footage and vows to become a ghost hunter! (They exist! Okay, it’s time to hunt these guys down! Place another piece of spooky furniture in your house. Let’s get this place nice and haunted! (Hmm... not quite haunted enough. Buy a spooky bookshelf for your house. (Okay, one more piece should do it. Place some spooky chains in the house! (That’s it; your house is now haunted! Hmm... but where are the ghosts? You've unlocked the Ghost Hunting hobby! 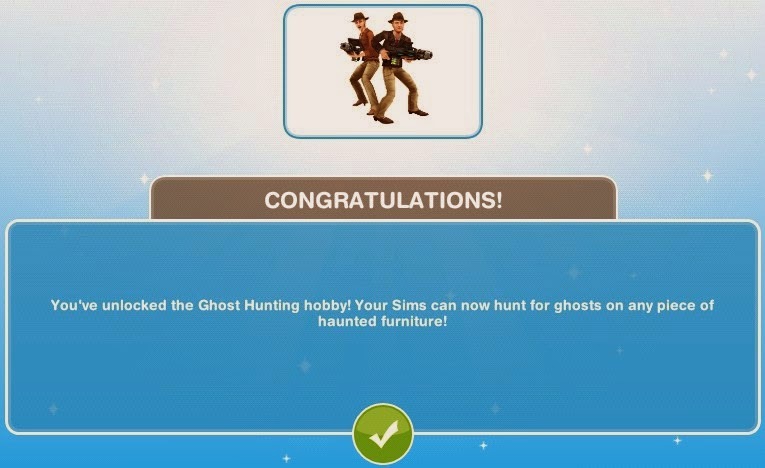 Your Sims can now hunt for ghosts on any piece of haunted furniture! 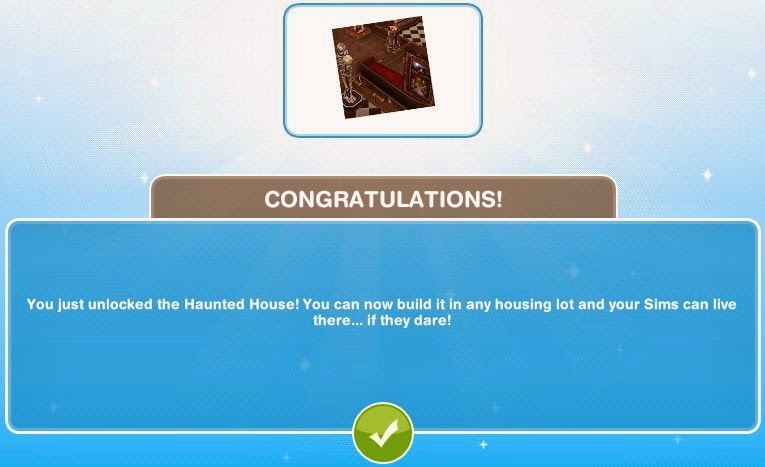 You just unlocked the Haunted House! You can now build it in any housing lot and your Sims can live there... if they dare!